These terms and conditions apply between you, the User of thankumum.com (including any sub-domains, unless expressly excluded by their own terms and conditions), and The Family Matrix Limited, the owner and operator of thankumum.com. IMPORTANT NOTE: As well as reading the following Terms & Conditions to which you have agreed by using this Site, you should also refer to the terms and conditions of each individual seller ("Channel Partner”) on their thankumum.com product description pages before making any order. In these terms and conditions, User or Users means any third party that accesses the Website and is not either (i) employed by The Family Matrix Limited and acting in the course of their employment or (ii) engaged as a consultant or otherwise providing services to The Family Matrix Limited and accessing the Website in connection with the provision of such services. We may update these Customer Terms (and the documents referred to in them) and any aspect of the Service from time to time and will notify such changes to you by uploading details of them on the Site. You should review the Customer Terms periodically for changes. By using the Website and agreeing to these terms and conditions, you represent and warrant that you are at least 18 years of age. All Content included on the Website, unless uploaded by Users, is the property of The Family Matrix Limited, our affiliates or other relevant third parties. In these terms and conditions, Content means any text, graphics, images, audio, video, software, data compilations, page layout, underlying code and software and any other form of information capable of being stored in a computer that appears on or forms part of thankumum.com, including any such content uploaded by Users. By continuing to use the Website you acknowledge that such Content is protected by copyright, trademarks, database rights and other intellectual property rights. Nothing on this site shall be construed as granting, by implication, estoppel, or otherwise, any license or right to use any trademark, logo or service mark displayed on the site without the owner's prior written permission. You must not otherwise reproduce, modify, copy, distribute or use for commercial purposes any Content without the written permission of The Family Matrix Limited. In any case, in which you choose, or you are provided with, a user identification code, password or any other piece of information as part of our security procedures, it is crucial you treat such information as confidential, and you must not disclose it to any third party. We have the option of disabling any user identification code or password, whether chosen by you or provided by us, at any time, if we believe you have failed to comply with any of the provisions of these Customer Terms. Any online facilities, tools, services or information that The Family Matrix Limited makes available through the Website (the Service) is provided "as is" and on an "as available" basis. We give no warranty that the Service will be free of defects and/or faults. To the maximum extent permitted by the law, we provide no warranties (express or implied) of fitness for a particular purpose, accuracy of information, compatibility and satisfactory quality. The Family Matrix Limited is under no obligation to update information on the Website. Whilst The Family Matrix Limited uses reasonable endeavor to ensure that the Website is secure and free of errors, viruses and other malware, we give no warranty or guaranty in that regard and all Users take responsibility for their own security, that of their personal details and their computers. The Family Matrix Limited accepts no liability for any disruption or non-availability of the Website. The Family Matrix Limited reserves the right to alter, suspend or discontinue any part (or the whole of) the Website including, but not limited to, any products and/or services available. These terms and conditions shall continue to apply to any modified version of the Website unless it is expressly stated otherwise. Please acknowledge that whenever you decide to purchase goods and/or services the resulting legal contract is between you and that Our Channel Partner and such contract shall compromise of these Customer Terms, the email confirmation of your order and the applicable details on the product page and you agree to be bound by all such provisions. Please carefully review the Customer Terms, the email confirmation of your order and the applicable details on the product page in connection with the order. In the case of conflict or inconsistency between these Customer Terms and the email confirmation of your order or the applicable details on the product page, these Customer Terms shall prevail to the extent of the conflict or inconsistency. We cannot guarantee the satisfactory quality of the goods and/or services you purchase from Our Chanel Partner through the Site, and this and any other such warranties (whether express or implied) are disclaimed by us absolutely to the fullest extent permitted by law. This disclaimer does not affect your statutory rights against our Channel Partner. We may disclose your customer information related to that transaction to the relevant Channel Partner referring to the ordered goods and/or services. Others out of our control. Each order you place shall be considered to be an offer by you to purchase the goods and/or services specified within it subject to the Customer Terms and the applicable details on the product page. We are acting as the commercial agent of our Channel Partner. In this respect, no order shall be deemed to be accepted by the Our Channel Partner until we issue an email acknowledgement of order. The contract between you and Our Channel Partner will relate only to those goods and/or services notified in the email acknowledgement of order. We know that you care how information about you is used and shared and we appreciate your trust in us to do that carefully and sensibly. We occasionally make our mailing list available to other carefully selected organisations whose products and services may be of interest to you. In these instances, under no circumstances do we pass on email addresses or telephone numbers. If you would prefer not to be included in such mailings, please write to the address below. When you order by credit card your account will be debited when you place your order. It is mandatory that everything you purchase with our Channel Partner is paid through our payment. The Family Matrix Limited acts as a commercial agent of the Channel Partner regarding the acceptance or the process of your payments. The Channel Partner acknowledges and agrees that the valid payment by you to us for the purchase of item(s) between you and the Channel Partner will satisfy your obligation to pay the Channel Partner for the relevant item(s) and consequently, any debt obligations owed by you to the Channel Partner for the purchase of such items shall be extinguished at that time. The Channel Partner further agrees that it will not seek recourse (legal or otherwise) against you for payment of items if you have validly paid us. All prices shall be shown in the applicable currency and payable in that currency. You accept that some banks may charge you an additional fee for certain transactions (for example, international transactions). In some instances items may have been sold at their original prices on the website. Clearance products and promotions are subject to availability and are not an indication of availability. Offers may be changed or withdrawn without notice by The Family Matrix at any time. We reserve the right to cancel a promotion / reject redemption of a Promotional Voucher when stock runs out or when the total value of the promotional codes already exceeds a certain financial value. You can find within your shopping cart on the Site the goods you have chosen, the Channel Partner’s terms at product description and some more details of postage and packing. The delivery costs for each Channel Partner may vary in accordance with the delivery methods they offer. Any delivery times quoted are in working days. If you choose to order goods from our Site for delivery outside the UK, they may be subject to import duties and taxes that are levied when the delivery reaches the specified destination. You will be responsible for payment of any such import duties and taxes. Please take into consideration that we do not own any control over these charges and cannot predict their amount. Please contact your local customs office for further information before placing your order. Under Consumer Protection (Distance Selling) Regulations 2000, you have a statutory right to cancel your order and receive a full refund. If you wish to discuss or organise a return, exchange or refund of any non-cancellable item purchased through the Site (see below for a description of non-cancellable items, we will provide all the necessary information to send the product to the Channel Partner directly. You shall use the order enquiry facility on the Site or fill in the cancellation form available in accordance with our Returns & Refunds Policy. Any returns or refunds shall be made by the Channel Partner in accordance with the Returns & Refunds Policy. For more information, please contact our “Returns and refunds department” at +442070961331. We cannot accept returns without prior notification. Thankumum.com may contain links to other sites. Unless expressly stated, these sites are not under the control of The Family Matrix Limited or that of our affiliates. The inclusion of a link to another site on thankumum.com does not imply any endorsement of the sites themselves or of those in control of them. You represent and warrant that you own or otherwise control all the rights to the Content you post; that the Content is accurate; that use of the Content you supply does not violate any provision of these terms and conditions and will not cause injury to any person; and that you will indemnify The Family Matrix Limited for all claims resulting from Content you supply. You are forbidden to misuse our Site or any part of the Service by introducing viruses, Trojans, worms, logic bombs or other material which is malicious or technologically harmful. Please do not attempt to gain unauthorised access to our Site, the server on which our Site is stored or any server, computer or database connected to our Site. By breaching this provision, you would commit a criminal offence under the Computer Misuse Act 1990. We will be sure to report any such breach to the relevant law enforcement. In the event of such a breach, your right to use our Site will cease immediately. If we fail at any time to reiterate upon the performance of any of your obligations under these Customer Terms, or in the event of failure to exercise any of the rights or remedies to which we are entitled under them, this shall not constitute a waiver of such rights or remedies and shall not relieve you from compliance with such obligations. A waiver by us of any default shall not constitute a waiver of any subsequent default. No waiver by us of any of these Customer Terms shall be effective unless it is expressly stated to be a waiver and is communicated to you in writing. Where circumstances beyond our or the Our Channel Partner’s reasonable control that prevent or delay implementing our/his obligations, including, without limitation, acts of God, governmental actions, war or national emergency, riot, civil commotion, fire, explosion, flood, inclement weather, epidemic, lock-outs, strikes or other labour disputes (whether or not relating to the Seller's workforce), or restraints or delays affecting carriers or an inability or delay in obtaining supplies of adequate or suitable materials then either our or Our Channel Partner’s (as the case may be) performance of its obligations shall be postponed for the period of time that the circumstances continue. These Customer Terms and any documents expressly referred to in them constitute the entire agreement between us and supersedes and extinguishes all previous drafts, agreements, arrangements and understandings between us, whether written or oral, relating to its subject matter. These terms and conditions of use may be changed in the future at any time without further notice. Users should check the terms and conditions regularly to ensure familiarity with the then current version. Further, these terms and conditions apply exclusively to your access to, and use of, thanumum.com website and will not alter in any way the terms or conditions of any other agreement you may enter into with the Family Matrix Limited. The Contracts (Rights of Third Parties) Act 1999 shall not apply to these terms and conditions and no third party will have any right to enforce or rely on any provision of these terms and conditions. If any court or competent authority finds that any provision of these terms and conditions (or part of any provision) is invalid, illegal or unenforceable, that provision or part-provision will, to the extent required, be deemed to be deleted, and the validity and enforceability of the other provisions of these terms and conditions will not be affected. Unless otherwise agreed, no delay, act or omission by a party in exercising any right or remedy will be deemed a waiver of that, or any other, right or remedy. These terms and conditions and any legal actions or proceedings relating to your use of thankumum.com shall be governed by and construed in accordance with the laws of England and Wales. We hope on your Feedback via thankumum.com. Please make sure that any complaints about a specific goods or services are directed to the Channel Partner (you just need to specify your order) and we will discuss all your comments directly with them. In regards to website feedback, please address it as “thankumum.com improvements”. NOTE: Certain products and services may imply additional terms and conditions. All of these, are set out below. Once activated, a gift card can be used as full or part payment for the products on our website. A gift card can be redeemed by online. No change will be given but any remaining balance can be applied to future purchases. A card is not redeemable for cash. Once activated, a gift card will expire after 30 days and any unused balance will be forfeited. Refunds will not be given for purchases of gift cards. All refunds and exchanges of goods purchased with The Family Matrix gift card will be processed in accordance with our standard refund policy. This does not affect your statutory rights. The Family Matrix reserves the right to add to or amend these terms and conditions when necessary. Reasonable notice will be given where possible. The first step you need to follow is to choose a gift voucher type. Once the payment for the gift voucher has been cleared, an email gift voucher will be dispatched by email to the specified email account. Printable gift vouchers will be dispatched by email as a downloadable PDF to the email account of the purchaser as soon as payment for the gift voucher has been cleared. Finally, you can send Gift Voucher to your mum. The purchaser is held responsible for ensuring that the delivery email address entered is correct. We will not be held responsible for any potential error of customer in the delivery of gift vouchers. (such as, incorrect email address). Redeeming gift vouchers: you will need to quote your unique voucher number (stated on the voucher) when making an order. Your voucher cannot be used against any items which you ordered or purchased prior to the date of the voucher or which you order or purchase without quoting your unique voucher number. In case the total value of the purchased goods is less than the value of the gift voucher, any potential gift voucher balance will be held against your account on thankumum.com. The balance must be paid by credit or debit card (or any other acceptable method) when the gift voucher is redeemed in the event the goods purchased exceed the amount of the gift voucher. It is possible for the value of the gift voucher to be debited before the applicable Channel Partner accepts your offer to purchase a product. As a consequence, if the seller(s) does not accept your offer to purchase a product using a gift voucher, we will transfer the amount of the gift voucher used to your account and any top up payment made in anticipation of such purchase to your account on thankumum.com and credit or debit card respectively. Whenever you purchase a gift voucher or you use one to make a purchase on thankumum.com, you agree to be bound by the Terms and Conditions for Customers above and also to be bound by the special conditions relating to gift vouchers below. If and to the extent there is a conflict or inconsistency between the terms and conditions of the Site and these gift voucher terms and conditions, the gift voucher terms and conditions shall prevail to the extent of the conflict or inconsistency. The defined terms and conditions used in the Site shall also apply to these gift voucher terms and conditions. Our gift vouchers can only be redeemed on thankumum.com towards the purchase of items currently featured on our Site. It is not possible to use gift vouchers in order to purchase other gift vouchers. One gift vouchers can be redeemed against a single order. We shall not be responsible if a gift voucher is lost, stolen, damaged, impaired, corrupted, destroyed, deleted or used without permission. We cannot be held responsible for gift vouchers that cannot be delivered due to the recipient's spam filters, firewalls, capacity of the mailbox or any other factors outside of our control. A gift voucher may be cancelled and refunded to the purchaser, if the purchaser cancels such gift voucher within seven (7) working days of purchase of the gift voucher. Gift vouchers cannot be redeemed for cash and are not transferable or assignable. These Gift vouchers are provided and operated by The Family Matrix Limited. By using a Promotional Vouchers you will be deemed to have read and understood these terms and conditions and agree to be bound by them. The terms and conditions on the Site shall apply to Promotional Vouchers. In the event of a conflict or inconsistency between the terms and conditions of the Site and these Promotional Voucher terms and conditions, the Promotional Voucher terms and conditions shall prevail to the extent of the conflict or inconsistency. The defined terms used in the Site terms and conditions shall also apply to these Promotional Voucher terms and conditions. Our Promotional Vouchers can only be used on thankumum.com and towards the purchase of items currently featured on our Site excluding delivery charges. Promotional Vouchers are an arrangement between you and The Family Matrix Limited. 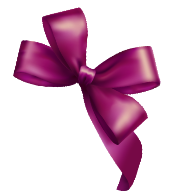 Promotional codes cannot be used in conjunction with other offers on thankumum.com in the same transaction, or for the purchase of gift vouchers. You must enter your Promotional Voucher during checkout in order for the discount to apply. Each Promotional Voucher will have a validity date and will be used for a limited number of orders. You will get specific details for each Promotional Voucher in the communication you receive with the voucher code itself. Thankumum.com reserves the right to suspend, change or cancel any Promotional Voucher, at any time, in the event of circumstances arising that make it necessary to do so. Thankumum.com may update these terms from time to time and reserves the right to add additional terms and conditions for specific Promotional Vouchers as and where necessary. You should review the Promotional Voucher terms and conditions periodically for changes. The redemption value of the Promotional Voucher will not be included in any potential refund you may be entitled to receive. You will only receive the amount you paid. Thankumum.com is a flagship venture of The Family Matrix Limited. You can contact The Family Matrix Limited by email on office@thankumum.com for more information.